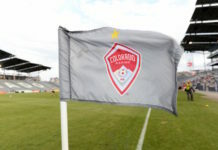 The Colorado Rapids lost their fifth straight match on Friday night, but one transcending moment during the 90 minutes mattered more than the game on the field. 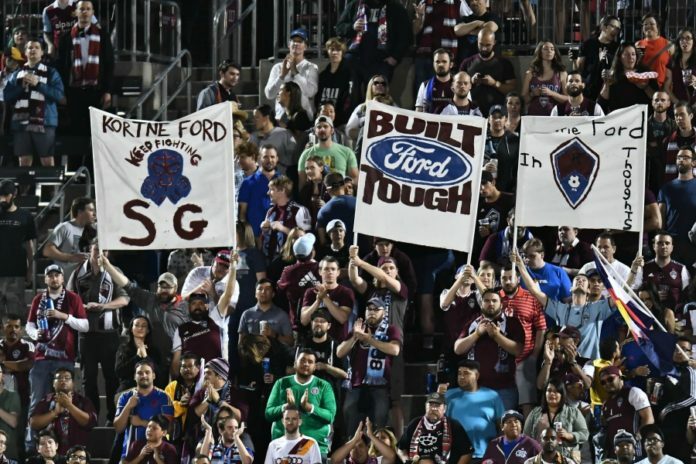 In the 24th minute, the Rapids faithful rose and let out a thunderous roar in support of rookie center back Kortne Ford’s mother Laurie, who is battling stage four breast cancer. Kortne, who wears number 24, didn’t play in the 1-0 loss to the Vancouver Whitecaps, but he recognized what fans were doing in the 24th minute. He stood from his position on the bench to acknowledge the standing ovation that the crowd was giving to his mom. After the match, Ford shared some of the feelings that the moment gave him. Fans, friends, family and good samaritans alike have taken up the cause to support Laurie. A GoFundMe account set up for her on April 27 has already raised more than $11,000 toward its $25,000 goal. Based on the type of person Laurie is, it seems the good karma she’s earned from a lifetime of good is starting to roll in. And all of the good will Laurie’s receiving isn’t lost upon Kortne. He expressed endless thanks to those who are joining the team to help his mother, but the fight is not over. Laurie is facing mounting medical bills that seem to be increasing by the month. “It means the world. I got the chance to spend some good quality time with her during the suspension I had and I asked her straight up, ‘Mom, how much are medical bills every month, because I want to be able to help out in every way, too.’ And she was like, ‘Last month they were $7,000, this month they’re probably going to be $8,000 or $9,000.’ So, $11,000 is huge, and that’s in less than a month. 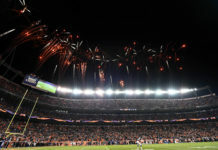 It’s just amazing, because that’s just stress that she doesn’t have to face and at the end of the day she 100 percent believes that high stress early on in her life is what gave her the cancer,” he said. Kortne cannot do it alone. To donate, visit Laurie’s GoFundMe page. 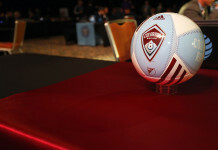 It’s the least we can do for a woman that single-handedly raised one of the Rapids best defenders and made a difference in many a child’s life.